Cycling, sportEX and charity: simply the perfect match. A fact that has been demonstrated twice again by ENERGETIX business partners from both the Netherlands and Germany: Dennis Jansen and a team led by Britta Hartmann. 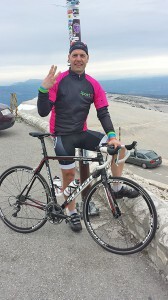 On 6 May 2014, our business partner in the Netherlands, Dennis Jansen, impressively succeeded in his physically demanding attempt to cycle up Mont Ventoux three times in succession on his racing bike. 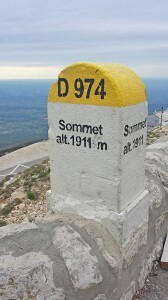 This 1911-metre high mountain is located in the Provence in France and has not only been incorporated into the Tour de France several times – it is also infamous for being really difficult to conquer! 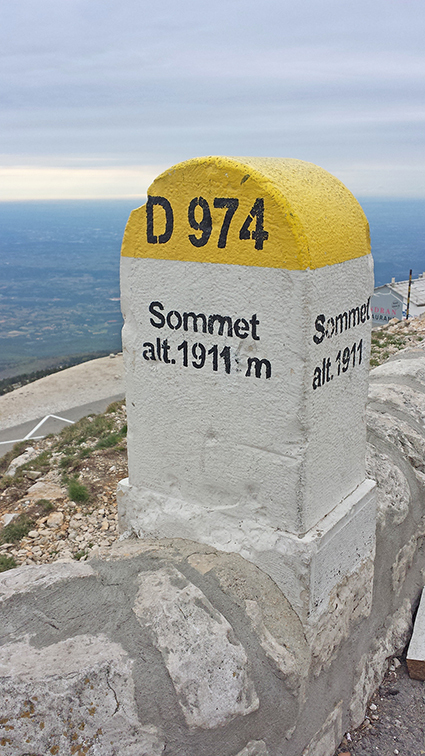 This ambitious event – the “Cinglé du Mont Ventoux” – of which Dennis Jansen is an official club member is only something for endurance experts who are absolutely in top form. So it was right up Dennis Jansen’s street! Accompanying Dennis Jansen up the mountain: sportEX bracelets! But the event didn’t only represent a physical challenge: Dennis Jansen decided to donate one euro for every sale of a sportEX article (bracelet or necklace) to the “Spieren voor Spieren” foundation (“Muscles for Muscles”), which actively supports children suffering from muscle disease. By setting a good example, Dennis Jansen hopes his efforts will motivate other ENERGETIX business partners to also do good! 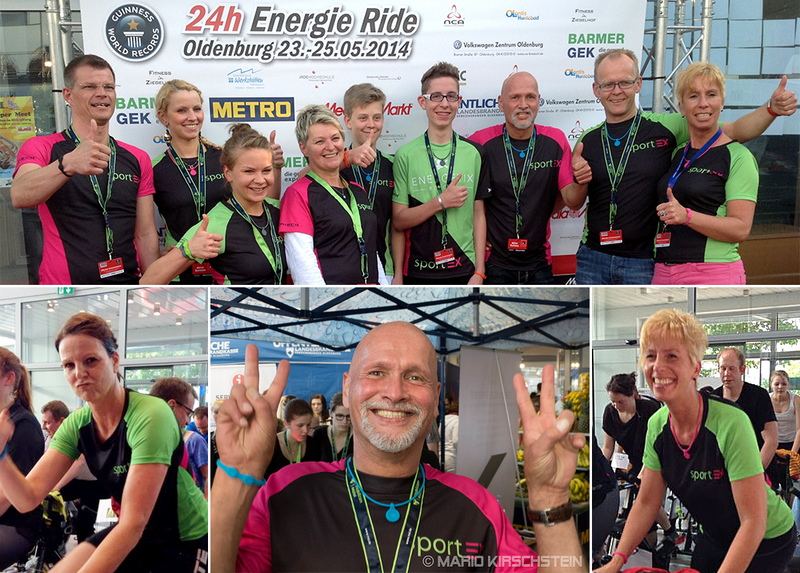 Britta Hartmann, who is an ENERGETIX business partner, along with a dedicated team of family members, other ENERGETIX business partners and customers joined the “24h Energy Ride”, which took place on 25 May 2014. The event was held to break a world record and help a good cause. The task was to generate so much energy through indoor cycling over 24 hours that it would be possible to drive an electrically-powered car over a distance of 50 kilometres. Thanks to the teams’ high-octane levels, the car was able to travel more than twice that distance: 105.6 kilometres! A total of 1800 participants in 60 teams joined in to give their everything on 120 indoor bicycles. One of which was kept going for 24 hours by the ENERGETIX team. With success: the world record was broken and an entry in the Guinness Book of Records guaranteed. So an ENERGETIX sportEX team helped achieve a world record. All cyclists involved may be justifiably proud of their performances! Funds from the event are to be donated to the Löwenherz children’s hospice in Synke near Bremen. We congratulate both Dennis Jansen and Britta Hartmann as well as her team on their impressive physical successes and thank them for their remarkable dedication to social causes! On 12 June the ENERGETIX Head Office in Bingen am Rhein received a visit from a politician well-known throughout Germany, Julia Klöckner (Deputy Federal Chairwoman of the CDU). She was accompanied by the mayor of Bingen, Thomas Feser. Owner and CEO Roland Förster and COO Klaus-Peter Thiel gave the very interested politician a comprehensive insight into the company’s departments and its working practices. Mrs. Klöckner was extremely enthusiastic about the magnetic jewellery creations she was shown and about the logistics and customer support services and the various areas of activity of the marketing department. The top politician’s unbridled curiosity in the ENERGETIX success story was also evident during the subsequent discussion with ENERGETIX staff – in which she actively involved all the participants. Mrs. Klöckner showed herself very open to suggestions and praised the Bingen firm’s multicultural openness. Just under 80 senior citizens from Bingen visited ENERGETIX on Tuesday 10 June. The tour of the company’s different departments – organized as part of the 20th Bingen am Rhein Senior Citizen Days (a series of events organized by the town’s Senior Citizens Advisory Committee) was of great interest to both the male and female participants. The various jewellery creations and wellness products from the House of ENERGETIX, in particular the high-tech engraving machine, were extremely well received. The professional success story of ENERGETIX business partner Jeannette Bal-van Schijndel even caught the attention of the Business Bootcamp, an academy that offers training and coaching to support freelancers and small businesses on the road to success. It has now honoured the committed Dutchwoman by naming her entrepreneur of the week. From sports massage to foot reflexology massage: Jeannette Bal-van Schijndel is skilled in a wide range of massage techniques and has been running her own massage practice since 2000. 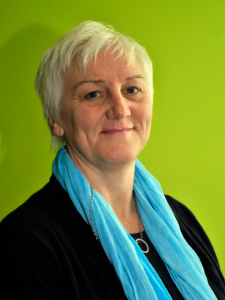 Since 2002 she has also been working as an ENERGETIX business partner. And a very successful one, too! She has found ways to combine the two activities, for example by offering massages with the ENERGETIX massage tool. Jeannette recently demonstrated her abilities at the Gutenberg Marathon in Mainz. She travelled there specially to treat the members of the ENERGETIX team to a massage after the over 21 kilometre run.